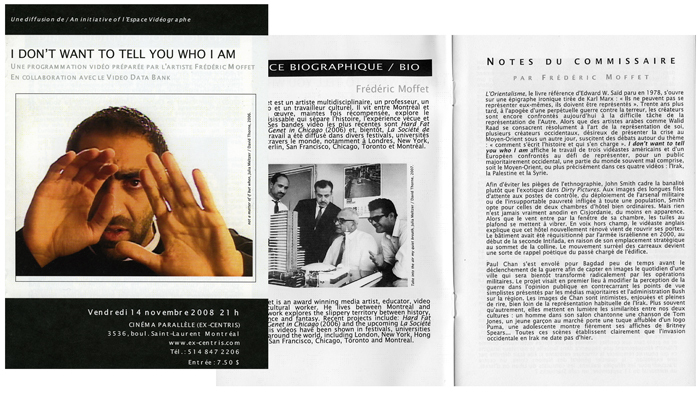 On November 14 2008, I presented I DO NOT WANT TO TELL YOU WHO I AM at Ex-Centris (Montreal) a program of contemporary videos curated from the collection of the Video Data Bank. The selection focused on work created by western artists visiting the Middle-East. This project was commissioned by Vidéographe.